It’s always exciting to stumble upon a record that you know will be a part of your daily music routine for a long while. 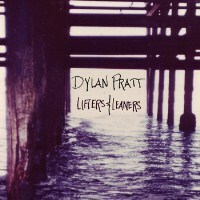 Dylan Pratt and his album, Lifters & Leaners, is one of those records. The album is a first for the singer/songwriter. Armed with an acoustic guitar, a soft and melodic voice along with beautiful lyrics; the album is the perfect capper after a long hard day at work. It also features quite a few guest musicians helping him complete the songs. Much of the record is composed of sweet, acoustic classic folk. So expect this album to be your perfect companion on dreary days, when all you want to do is cuddle in the comfort of your bed or maybe stay-in and enjoy a quiet evening. Dylan Pratt proves that sometimes all you need is a guitar, good lyrics and a voice to create lovely music. Lifters & Leaners takes a stripped down approach to songmaking. Almost all of the tracks exude an acoustic sound with a few actually plugging in and employing electric guitars. Although the artist impresses with his upbeat indie rock tracks like, Soap Box and Beasties; he excels in his quiet singles best. Fall Awake has that country folk vibe reminiscent of Dan Fogelberg or most 60s/70s classic folk artist. Another track, Peace Will Never Come, is as simple as it can get. Pratt has a knack for accompanying beautiful melodic guitar playing with endearing lyrics. His expressive voice lends sincerity to the words he sings which is quite important for most folk songs like this. Meanwhile, title track, Lifters & Leaners also exhibit this gorgeous relaxing folk sound. This last song balances with the upbeat opener and leaves listeners with a nice remembrance of the record while at the same time urging them to listen to it again soon. Dylan Pratt definitely has his niche covered. The album features good recording with snippets of raw, even DIY quality here and there. This just adds to the candor and appeal of the record. It’s a compilation worth checking out especially for folk lovers everywhere.